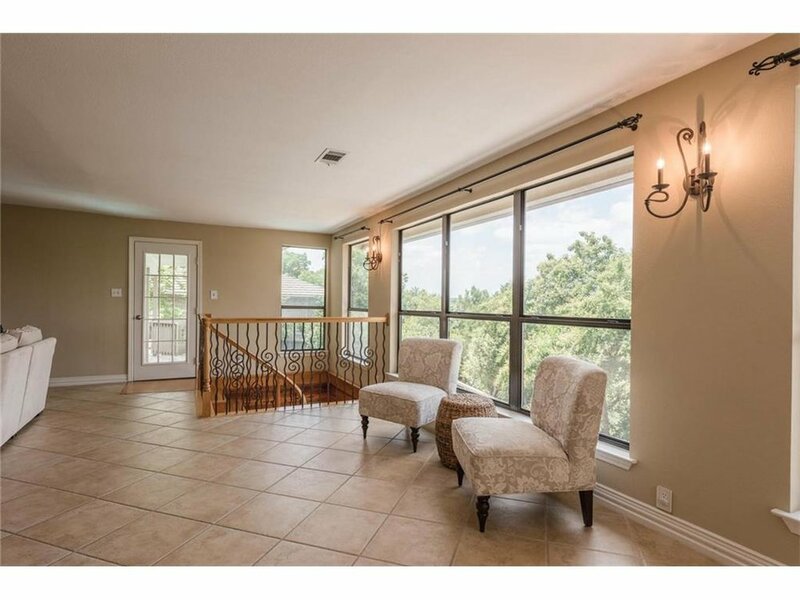 So you’ve decided to sell your Austin investment property. There are a number of reasons you might be considering this… you’re tired of dealing with tenants, you are moving the money into other investments, it’s time to retire, it’s time to pay for your kids college or you think the market will bust soon and you want to sell at the top. (Call me if you think the last one is true… I would love to hear your reasoning). Either way, it’s time to sell. Here is my list of the top 5 things to do to ensure you sell for top dollar. Get the tenants out of the property. Out of all the advice I have, this is the most important to ensure you get top dollar. TENANTS ARE DEAL KILLERS. Their motivations are typically not in line with yours, they have ugly stuff, they don’t clean up and they make the property hard to show. In short, THEY WILL COST YOU MONEY. The average rent a tenant is paying in Austin is $1,849/month over the last 90 days. Getting a tenant out and making the house market ready will net you another 1-3% more than if they were in the property. If the average homes sells for $357,859 in Austin, that is potentially another $3,500-$10,500 you are leaving on the table. Between the median days on market at 29 and the average days on market at 55, you’re talking about one or two months rent that you would possibly be missing out on. You have to put yourself in the buyers shoes… tenants legally have a right to request 24 hours notice for all showings. This right there makes it really hard to show the home. More than likely they won’t be cleaning up, sometimes tenants don’t even leave the property. As a Realtor, try getting professional photos of the home with tenants present. It’s next to impossible. Now I know this isn’t always the case. I have had some really great tenants who keep the house nicer than I keep my own. If properly motivated---guaranteeing they can keep their deposit, even paying them to work with us on showings, can create a win-win situation. I just wouldn’t count on it and I don’t think you should either. Depending on your budget, you need to be prepared to spend some money getting the property ready for the market. Depending on how long your property has been a rental and how proactive you have been maintaining it will determine your budget. The first rule is, your tenant’s deposit is only for damage caused by your tenant. Don’t use their deposit as your updating budget. Getting carpets cleaned, air filters changed out, etc are perfectly fine. Replacing the carpet with hardwood floors on their dime is something you could potentially get in trouble for. Now that we’ve got that out of the way, let’s do a quick run down. Do a deep clean of the property--carpets, baseboards, windows. Have a handyman come in and make minor repairs and paint touch ups. Get the yard under control and do some light landscaping. Tune-up HVAC and any other appliances that may need attention. Consider replacing flooring. If you have to choose which rooms, always start with the living rooms, before moving on to the master bedrooms and then the other bedrooms, baths, etc. This is where I would consult a professional. If the home is really outdated and/or needs a lot of work, it might make sense to do a more major renovation. I really like the National Association of Realtors Cost vs. Value Report here as a guide for best ROI projects. Scrape ceilings and get that popcorn texture out of the home. Curb appeal is huge. Make sure the front of the home pops. Get the kitchen updated. On this budget, doing the countertops, backsplash, sink and new fixtures is best. You can always paint the cabinets and put on new hardware to freshen it up. Faux wood tile is a huge hit right now for flooring. It’s easier and cheaper to install than real wood. Another alternative I would consider is a high-end laminate. They make them now that are very durable and don’t make that strange popping noise when you walk on them. Updating light and plumbing fixtures is inexpensive and goes a long way. I would also consider changing out all the electric outlets for an easy refresh. My last item is windows. If you can stretch it, new windows means you care about who is buying the home. They are aesthetically pleasing and will save the buyer money on their electric bill. I know that everyone wants top dollar right now. It is a seller’s market and the entire reason you might be considering selling is to take advantage of that. The biggest mistake you can make with selling is over-pricing the home. It is logical to think that if you price it too high to start and no one is willing to pay what you are asking, a simple price adjustment will do the trick. Sometimes it does. However, if you sit on the market too long and right now, I think 6 weeks is too long, the property will develop a stigma. Instead of buyers coming in and being excited about the home, they are looking for reasons not to buy it. On the flip side, I would not be worried if you didn’t get an offer the first week or two on the market. I’ve had properties sit on the market for a few weeks and then get multiple offers. Sometimes it is good to price it slightly higher and be patient. Buying a home is an emotional experience. You want a buyer to connect with the property, feel like they can live there, start a family there and so on. We firmly believe that staging a vacant home can increase the selling price by an additional 1-3%. Above you will see a home that was on the market for months and didn't sell (top row of pictures). Below is the exact same house that was staged by BIRDHOME and sold the first weekend on the market. The average buyer CANNOT imagine themselves living in a home. You have to curate that experience for them. Staging does come with an expense and you can decide to do some very light “vignette” staging or you can stage the entire house. I really prefer homes that have the living room, dining room and master bedroom staged. The other bedrooms can sometimes be small to start and can feel smaller with furniture in them. Additionally, when you have the home staged, it makes the professional photography so much better. It gives the photographer a point of view and helps guide the buyer through the home visually online. And since 99% of buyers start their home search online and decide whether or not to even look at a home in person based on their perception of the home online, this is crucial. Need help staging? Click here. 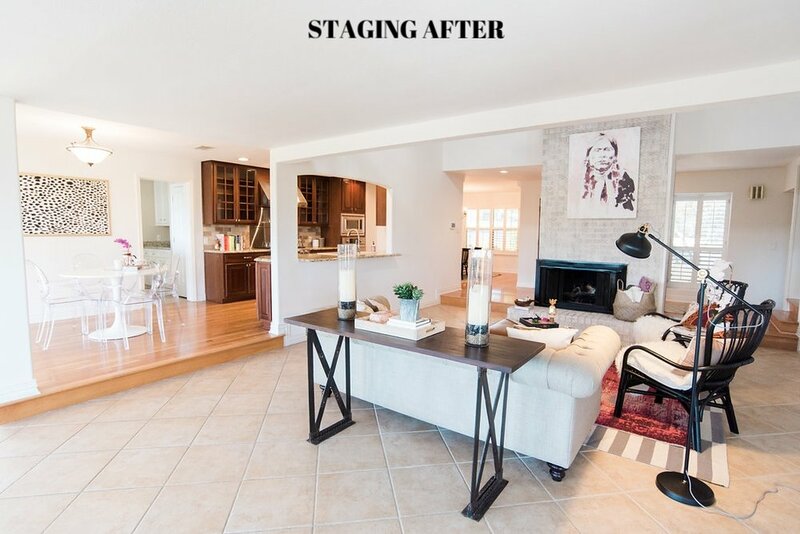 We offer complimentary staging to our sellers and help other Realtors stage on a case-by-case basis. I am going to keep this last point short and simple. I am a firm believer in hiring professionals and paying them well for their services. Anytime I have ever gone for the lowest bid or cheapest alternative, I have paid for it dearly. I know this may come across as self serving, but I can’t help it if it is true. That being said, here is our guide to interviewing real estate agents. If there is another thing that I stand by, it is interviewing more than one agent for the job. Most people think that all Realtors are created equal. I challenge you to interview more than one to three agents and you will be surprised at the varying levels of professionalism and services they offer. I still stand by my first point that getting the tenants out will net you the most amount of money when going to sell. Hiring a professional real estate agent to help you navigate preparing the home for the market, determining an asking price for the home, properly marketing your property and negotiating top dollar is a very close second on that list. Call us, text us or connect with us on social media to get your home sold today. Wondering if it is time to sell your investment property? Here is an in-depth analysis. Interviewing real estate agents? Here is what to ask. Make the property “market ready”.